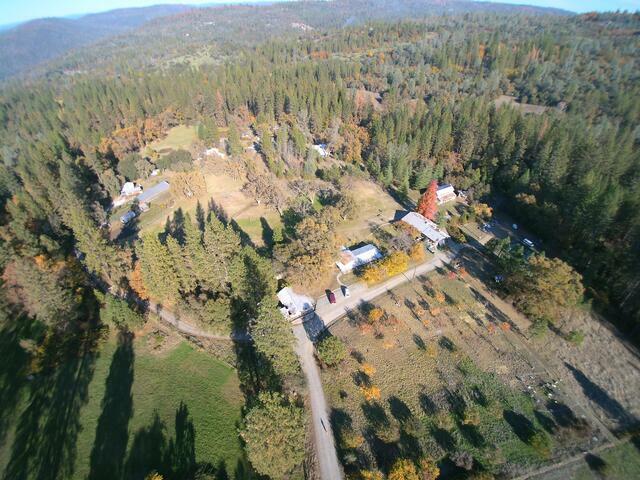 The Woolman Semester School is a nonprofit educational facility located in the scenic Sierra Nevada foothills of California. The school, welcoming people of all backgrounds and faiths, offers an education program along with community-enrichment activities. Carl Sigmond, the Operations Manager at The Woolman Semester School, spent some time with OnSIP's CEO & Co-Founder, Mike Oeth, to tell us a bit more about the school, as well as how OnSIP cloud VoIP supports its day-to-day operations. Note to Viewers: Carl has provided us with subtitles that have been added to the video. The Woolman Semester School, founded in 1963, is part of the Sierra Friends Center and is located in Nevada City, California. It is named for John Woolman, an 18th century Quaker human rights activist. Staff members strive to promote his ideals of social responsibility into all of the programs that they offer. The School offers "a four month program for juniors, seniors, and gap year students that incorporates the values of peace, social justice, and sustainability into the high school curriculum," says Carl. "We also host workshops and retreats on our 230-acre campus, offer summer camps for 9 to 14 year olds, and run a large garden, Farm-to-Table program, and CSA (Community Supported Agriculture)." Additionally, the School provides several scholarships to incoming students. To learn more about The Woolman Semester School, or make a donation to support their programs, visit their Donation Page. With Woolman's expansive campus spread out over school buildings, cabins, garden facilities, and pristine woods, it can be difficult to connect the school under one phone system. Before OnSIP, the Woolman Semester School was using a CudaTel on-site VoIP server. Carl explains how "a copper wire from AT&T would come into our office and into the CudaTel server and then that server would make a local VoIP network in our office." Unfortunately, that system did not work effectively for them. They were paying hundreds of dollars per month to connect AT&T copper lines to their building, and due to its remote location, they would often have static on their phone calls. Bring Your Own Device (BYOD) - The Woolman Semester School already had several Polycom IP phones and were able to continue using them after moving to OnSIP's cloud VoIP service. Per Minute Pricing - The School has many phones throughout the main office and dining hall. Some almost never get used, while others are used constantly. By selecting OnSIP's per minute pricing plan, the Woolman School only pays for the calls that they make and not for the number of phones at their facilities. This option allows them to keep phones in areas that have low traffic (like a lobby or kitchen phone). "OnSIP really enabled us to keep all of those seats in a cost-effective way," notes Carl. When it came time to set up the OnSIP service at their location, Carl remembers the process as "seamless." OnSIP provided a temporary phone number for the school to use while testing out our phone service. To stay connected throughout the large campus, the staff uses the OnSIP app, our browser-based webphone. Staff members can log into the app on their laptops and connect to the OnSIP system through the school's Wi-Fi. Once logged in, a user can make and receive work calls, message coworkers, and access voicemail messages. As Carl says, "we have OnSIP phones wherever we go!" During the interview, Mike comments: "What I love is hearing stories about schools and non-profit organizations, where you're able to take money that you were spending on telecom and go spend it in the community and...for the students that you serve." We wholeheartedly agree, and are proud to be supporting The Woolman Semester School in its efforts to promote peace, sustainability, and social action.